I stumbled across Pentti Sammallahti’s photography again this week. Sammallahti, born in Finland in the 1950’s, has travelled widely as a photographer – Russia, Asia, Europe and Africa, including stops in Siberia, Japan, India, Nepal, Morocco, Turkey, Europe, Great Britain and South Africa. 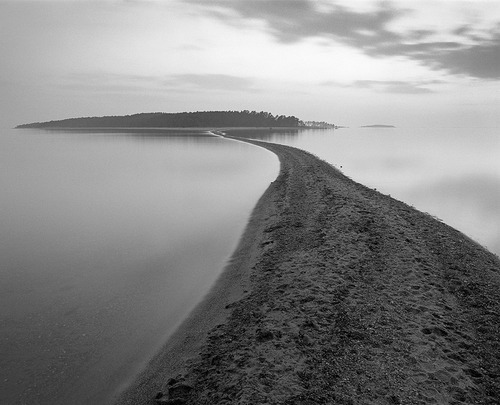 His photographs of the White Sea in Russia are regarded as his best work, with Sammallahti himself selecting the image above as his best photograph. He describes the making of this image here. Photographs from both his native Scandinavia as well as from his travels can be found in the retrospective of his work ‘Here Far Away‘ and the book is reviewed by Sean O’Hagan in The Guardian here. While Sammallahti’s sense of humor comes through in many of his photographs, I must admit that I enjoyed looking at his photographs of the ocean the most. One example is shown below.